Training for adult leaders is about one thing – improving the experience for the youth in the Pack, Troop, or Crew, you work with. Adult leaders who are trained are more confident, know what resources are available, and provide a higher quality program. continued their training by either attending University of Scouting OR attending four (4) District Roundtables for each year of tenure for the award. If you’re eligible, or you know someone who is eligible, please be sure to work with your Unit Committee Chair and submit the ‘Progress Record’ for the appropriate Adult leader Training Knot to the District Training Chair, Nira.Rajan@lmdbsa.org. 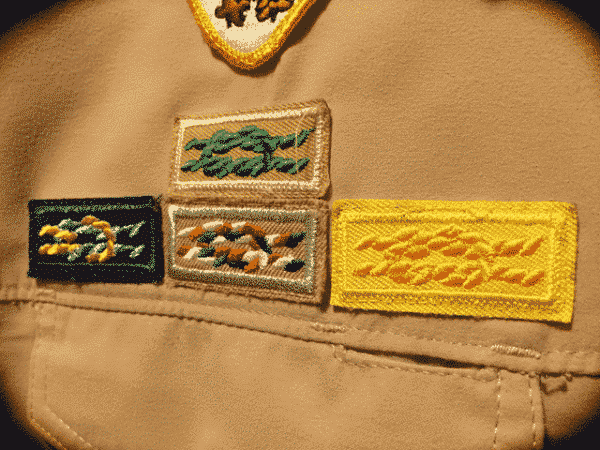 Den Leader Award – Recognize the experience Den Leader in your Pack! Den Leaders, including Tiger and Lion leaders, who have been in the role for one (1) year are eligible for this award. By completing five performance objectives (from advancing youth in your den, to completing a planning meeting) Den Leaders can earn this award. Scout Leader’s Training Award – Open to any Adult Leader in Cub Scouts, Scouts BSA, or Venturing, the Scouter’s Training award recognizes those leader who have completed two (2) years as a registered leader, continued their training, and have been involved in planning and leading a successful program at their unit.